Poland – While in Poland the conflict surrounding the Constitutional Court (CC) has somewhat subsided as a result of the departure of its President Andrzej Rzepliński, who had the unfortunate habit of commenting on the laws adopted by the Parliament dominated by the PiS even before it got checked by the CC, the European Commission has not given up. The Polish constitutional crisis against the PiS government had originally been provoked by the outgoing majority, in violation of the constitution, to appoint in advance five judges to replace the ones whose terms of office were to end after the elections of October 2015. In 2015, the shenanigans of the liberal and Euro-enthusiastic majority PO-PSL (of which the current President of the European Council Donald Tusk is coming from) had not attracted European critics, but it is otherwise for the Conservatives of PiS. Of course, the way in which the PiS sought to settle the case to their advantage by successive laws (6 in less than a year!) was probably not very clean. That being said, the Polish Constitution clearly stipulates that it is up to the Parliament to determine the organization of the Constitutional Court by means of a law, which leaves a great deal of freedom to the PiS, which now has an absolute majority. Poland does not require a qualified majority for voting on the law governing the organization of the Constitutional Court, nor for the appointment of the judges of this court. In these circumstances it is very curious to see the first Vice-President of the European Commission, “responsible for Better Regulations, Inter-Institutional Relations, Rule of Law and Charter of Fundamental Rights”, taking sides for the Polish Liberal opposition and asking the European Union to play the role of some sort of Supreme Court of the Republic of Poland to resolve the conflict between the Polish Parliament and part of the judges of the Constitutional Court, which is also a conflict between a parliamentary majority that promised its constituents to reform the judiciary and part of the country’s judges (which the president of the High Administrative Court – NSA – in the autumn called “a special caste of people”), and a conflict between the conservative majority of the 25 October 2015 elections, who are in favor of a greater respect for national sovereignty in the EU, and its liberal-libertarian opposition that had become quasi-federalist. The situation is all the more absurd since the first Vice-President of the European Commission, who decided in February to appeal against the Polish government to the Council of the European Union in order to get a possible sanction procedure, is none other than the former Minister for Foreign Affairs of the Netherlands, a country which does not have a Constitutional Court and therefore, where the parliamentarian majority can do anything it wants to. It should be noted that Frans Timmermans is from the Dutch Labour Party, and therefore of the left, and that he does not understand Polish and therefore could not read the Polish constitution nor follow the meanderings of the conflict in the original language. This did not prevent him from asserting in October 2016 that he would continue to put pressure on the Polish government to comply with the wishes of his opposition. In quite an immodest attitude, the Dutch commissioner then claimed to act for the good of Polish society. In a tense exchange at the 53rd Munich Security Conference from 17 to 19 February, Polish Foreign Minister Witold Waszczykowski remarked to Dutchman Frans Timmermans that his government respected the Polish Constitution and not Mr. Timmermans’ idea of this constitution. It must be said that the European Commission has done everything from the beginning to fuel a conflict with those who were brought to power at the autumn of 2015 by the Polish people. For who was chosen in April 2016 to lead the representation of the Commission in Poland? Marek Prawda, who has been discharged two months earlier by the new Polish government as head of Poland’s representative body to the EU, a position he had held under the previous majority. It was not just a hubbub to a Member State but also a risk to have a representative in Warsaw at the same time as an active opponent to the current government. A report by Mr Prawda to the European Commissioner for Regional Policy, Romania Corina Cretu, spread in the Polish media in February this year. This report describes Poland as a country where the rule of law is systematically flouted and judges are subjected to harassment at work and physical persecution on the street. 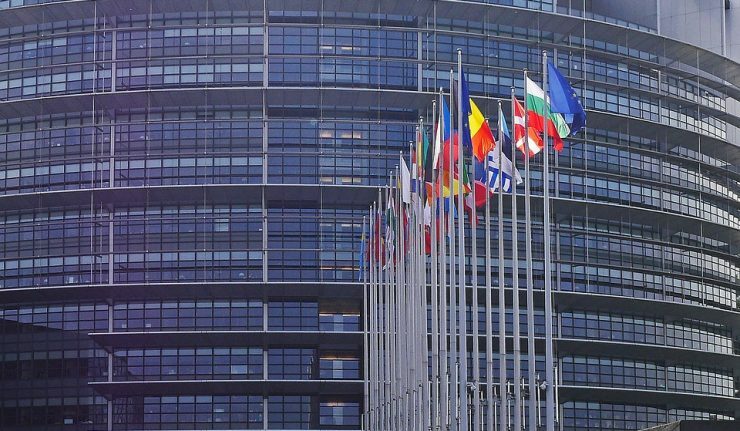 Warsaw asked for explanations on this from the European Commission, but the Commission refused to comment on a report that should have remained confidential in the first place. When questioned by a Polish radio station, the Director of the European Commission Representation defended himself by explaining that the quoted sentences of the report had been taken out of context, while the Commission asserted that it had full confidence in its representative. It would seem that the EU does not have enough problems, and that after having created several years of conflict in Hungary, it seeks to create new ones in Poland.